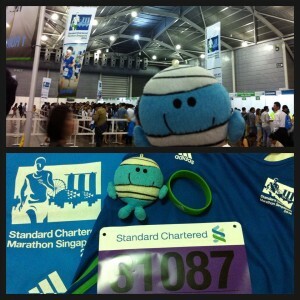 Less than 12 Hours to the Standard Chartered Half Marathon | JustRunLah! Have I prepared enough? Will I hit the Wall? Can I finish in a respectable timing? This will be my first REAL run with my human companion (PS. she will henceforth be referred to as “The Human”). Yeah sure, I attended the Hello Kitty Run (“HK Run”) at Sentosa with her a month ago, but that seemed to be more of a ‘fun event’ than anything else. During the HK Run, I spent most of the duration in the pocket of her running shorts. This time, the plan is that I conqueror the 21km, strapped to her armband. My greatest worry – Will I… fall and *gasp* get lost midway? I wonder she is ready. This will be her 2nd Half Marathon, and honestly, I don’t think she has trained enough for it… running 1-2x a week, about 5km at a time. Her previous attempt, at the Straits Times Run, took her almost 3hrs. She seemed disappointed, and I think she is hoping for a time closer to 2hr 30m. I wish she knows how proud of her I am regardless of her finish time. I have other plushie friends joining me tomorrow too. Some are doing the half as I am, and some are doing the full. It WILL be fun. Best of luck to everyone taking part in the SCMS 2014 tomorrow! Say hi ~ and take a selfie with me if you manage to spot me! 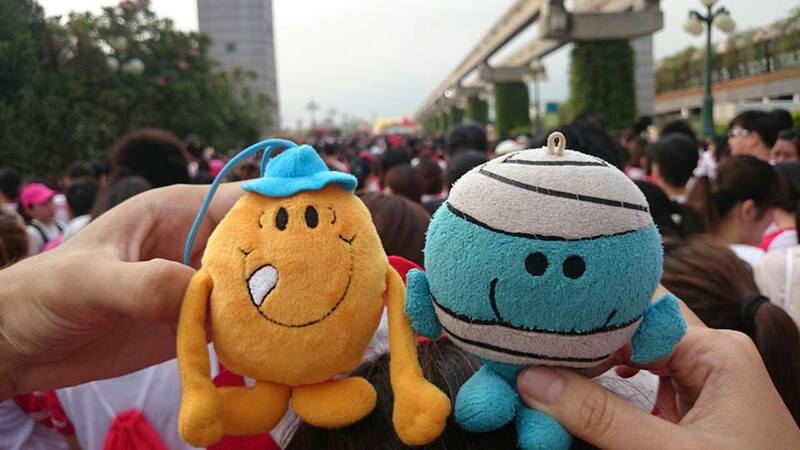 BIO: I'm a little "Mr Men" plushie who recently started running. To have a better idea of who I am, do view my public fb profile @ https://www.facebook.com/Little.Bump (toss a friend request this way too!). Click here for more post from Little Bump. You did it, Little Bump!